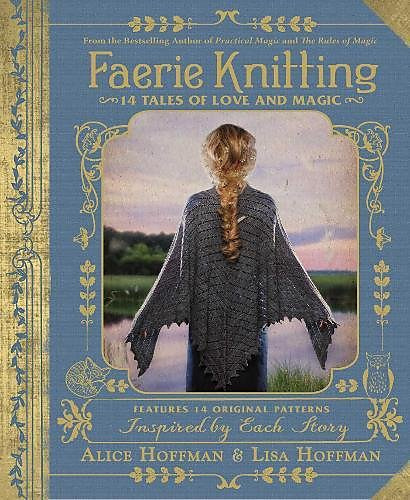 From New York Times bestselling author Alice Hoffman and master knitter Lisa Hoffman comes Faerie Knitting (out September 25th) featuring the magic of storytelling and the magic of knitting—woven together in 14 original patterns inspired by each story. Thorn Hat is a free bonus project from the book Faerie Knitting: 14 Tales of Love and Magic. The hat pairs with the Thorn Blanket, a project featured in the book, and the download includes an original magical fairy tale about a blanket that is knit to protect a baby from harm. The hat pattern is written to be worked in rounds, but can easily be adjusted to work flat and seam. Co-written with New York Times best selling author Alice Hoffman, Faerie Knitting is an entrancing collection of stories of love and loss, trust and perseverance. Seamlessly woven into the plot of each tale is a magical garment or accessory inspired by the bravery and self-reliance of the tale’s heroine and brought to life through an imaginative and bespoke knitting pattern.